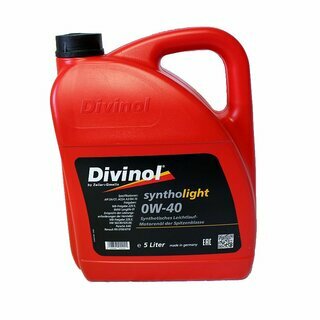 A fully synthetic, top-class engine oil with fuel-saving qualities for the most demanding Otto and Diesel car engines. A fully synthetic, top-class engine oil with fuel-saving qualities for the most demanding Otto and Diesel car engines. Its unique viscosity range ensures excellent lubrications, even under extreme operating conditions and traffic situations. Due to the use of the best synthetic oils, this Divinol product has an excellent thermal stability and resistance to ageing and oxidation.